Flowers are a huge part of any wedding. They bring a fresh, natural flair to any celebration, and there's nothing more iconic than the flash of a bouquet against a bride's gown as they walk down the aisle. 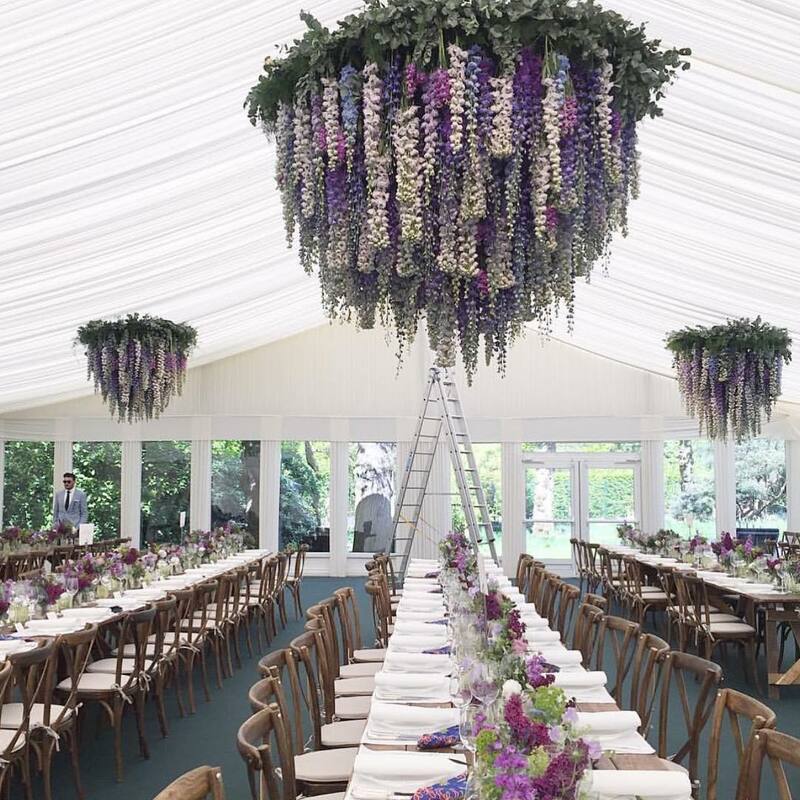 But because they can make such a huge statement, choosing the flowers for your own event can be daunting. That's why we spoke with several experts to find out which floral trends are taking off this summer. 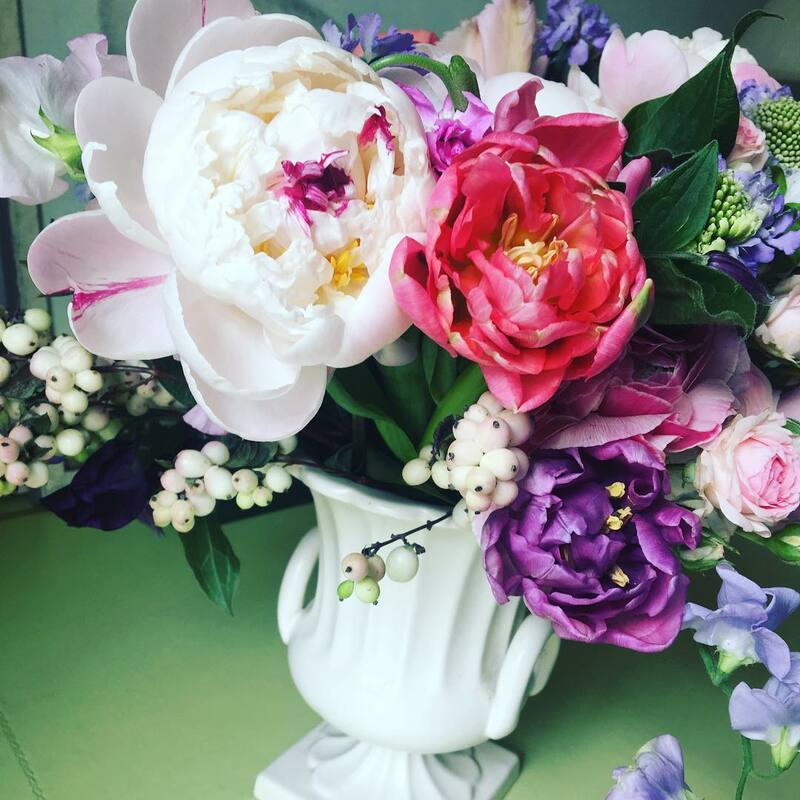 While classic bouquets made from garden roses, and peonies will always be in style, the looks of the moment are a little more unique and dramatic than all that. 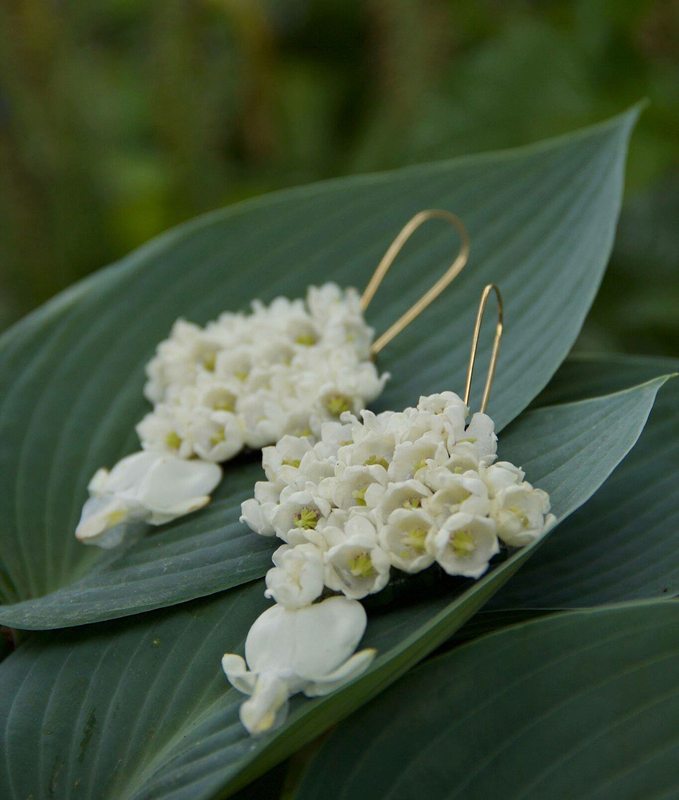 Floral designers are taking inspiration from classic still-life paintings, wildflowers and nature and incorporating their favorite blossoms into wearable wedding day fashions this season. Take a look at some of this summer's most visually arresting wedding floral trends in the following slides and get ready for some major inspiration. "Japanese flowers and hybrids are having their moment in the spotlight," shares Angel Salazar, CEO and principal designer at Angel Salazar Design. 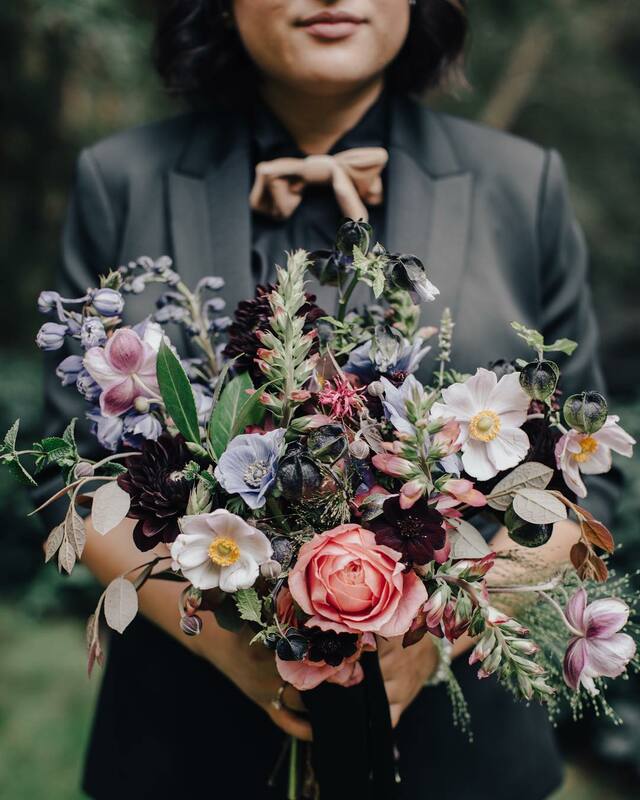 "Some of the blooms that are helping brides and grooms achieve this modern look are butterfly ranunculus, Japanese delphinium and, of course, during the spring, blooming branches." 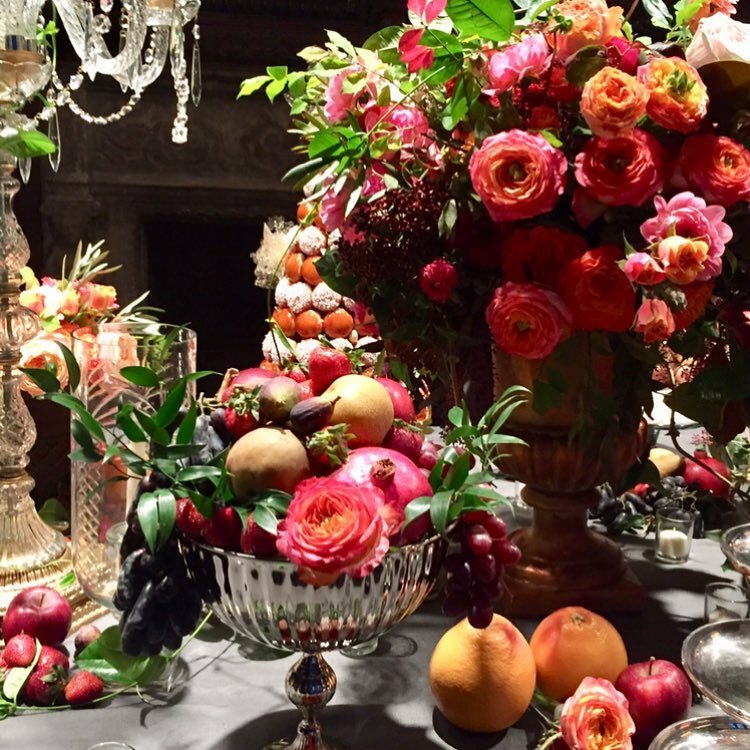 "Some of the most unique trends to awe guests include still-life flower arrangements and arrangements inspired by famous paintings," Salazar says. Taking inspiration from paintings like Van Gogh's "Sunflowers" or "Still Life with Flowers" by Willem van Aelst, floral designers can bring these famous arrangements from the canvas to real life. "These are often intricate and take a good deal of time to create, but the end result is breathtaking." 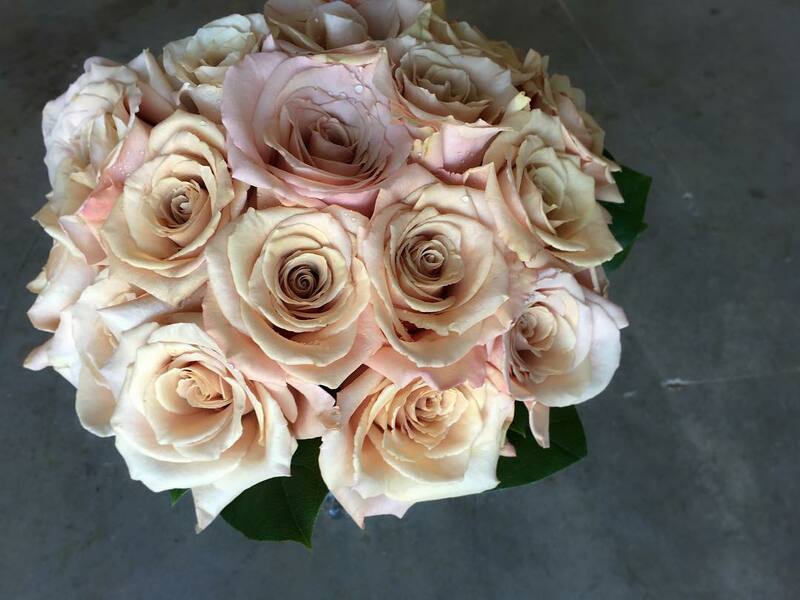 When it comes to color, this year's bouquets are all about subtlety, with blush- and champagne-colored blooms taking center stage according to Salazar.Brittney Holland, founder and owner of Blue Thistle Design, agrees. She says that "you'll also notice a lot more earthy and muted tones than in past summers." "This season's biggest trend is a wild and flowing design," shares Salazar. "This breaks tradition from the perfectly round bouquets of the past and lends a more whimsical feel to the overall look." Many of the designers we spoke to said the move away from traditional arrangements was the top trend of the season. There are some flowers that are always popular, regardless of what trends come and go. "Some florals are just too classic and too entrenched in the idea of the bridal look to ever go away. Some of those traditional florals include garden roses and peonies," Salazar says.Lisa Bauer, founder of Tartan Weddings, agrees. "Peonies will never go out of style. People still go crazy for these gorgeous flowers. 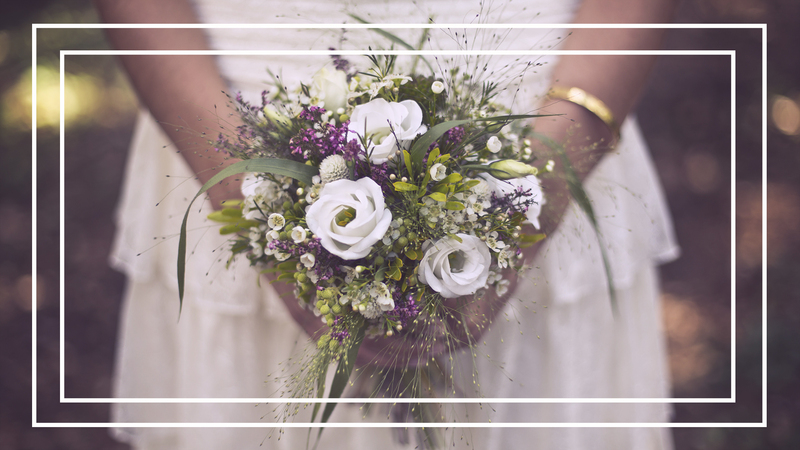 Unfortunately, you can only have these if you have a spring wedding, something a lot of people don't know until it's too late." Flowers will always be classic, but arrangements are moving more toward the green side of things. "I am seeing more foliage and fewer flowers," shares Bauer. 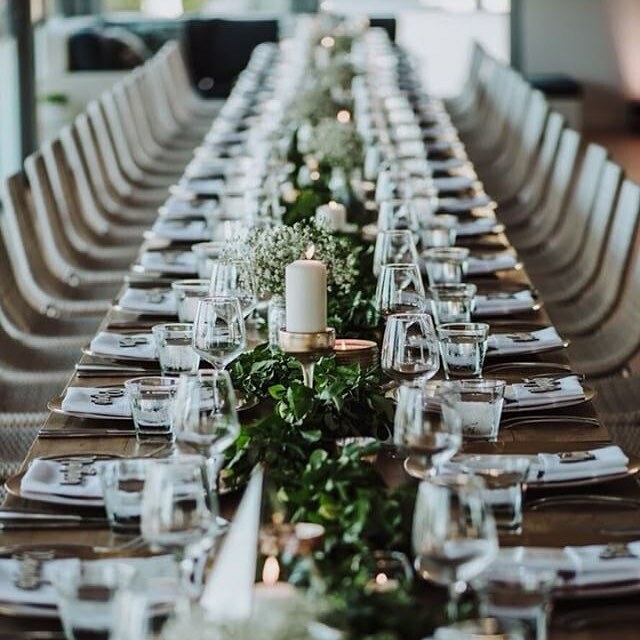 "Some weddings are even using only foliage as decor by using simple greenery as stunning tablescapes. "Floral designer Christina Averkin of A Bud & Beyond has also seen a shift toward more unusual types of foliage. She says the biggest bouquet trends include "unstructured bouquets with unexpected elements like mossy branches, air plants and succulents." Bauer says there's a DIY element gaining popularity among wedding parties. Couples are using "homegrown and wildflowers to create fanciful floral arrangements," she shares. 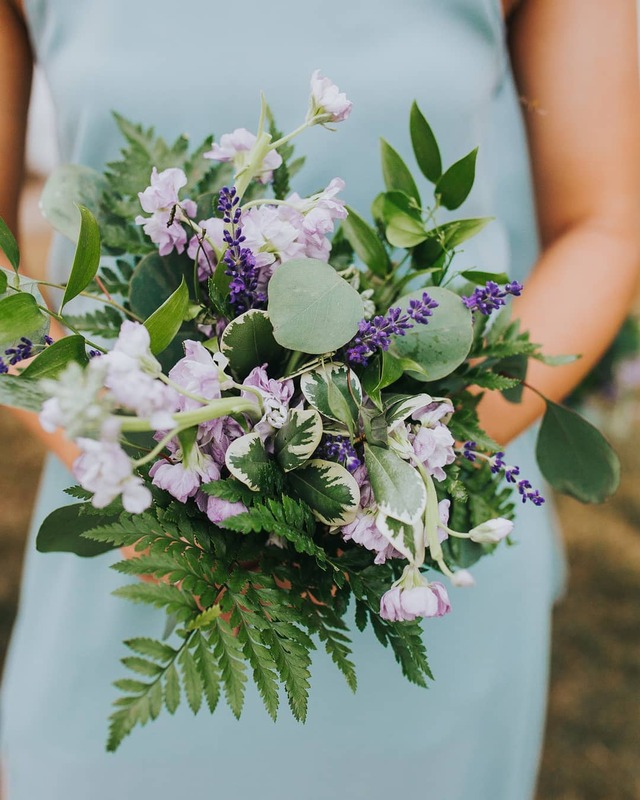 People "are opting for a more whimsical bouquet," according to Bauer and making bouquets and arrangements together is something the wedding party can help with too. Many of the experts we talked to shared that couples are moving away from the structured topiaries and traditional centerpieces of yesteryear and are instead opting for lush flower and foliage garlands; floral walls and photo backdrops; flower chandeliers; flowing table runners with lots of greenery; floral wreaths; and wild, oversize floral arrangements to make a big impact. 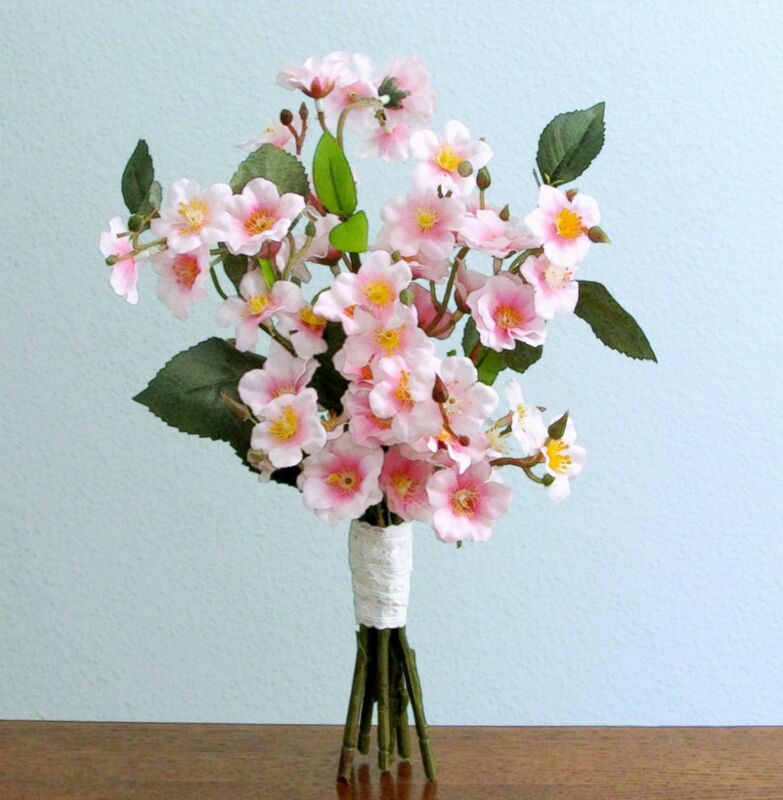 The emphasis is on the natural beauty of the flowers themselves rather than on the precision of the arrangement. Flowers are leaping from the bouquet right onto the wedding participants themselves. "Brides have been using fresh florals as accessories for their big day," says Joan Wyndrum of Blooms by the Box. "Think a strung succulent necklace, a blooming bracelet or peony pendant."